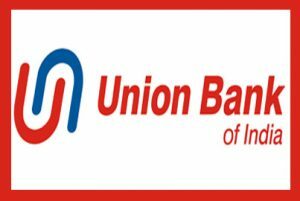 Union Bank of India Specialist Officer Recruitment is hiring eligible candidates for the post of specialist officer also known as forex officer and integrated treasury officer. Candidates who think that they are eligible can apply for this post by filling up the application form before 13-01-2018. Below are all the details regarding Union Bank of India Specialist officer recruitment so without skipping anything, ready all the details carefully in order to avoid mistakes later. Remember that they are looking for young and talented candidates so, if you satisfy the eligibility criteria then only apply for the post else one seat will be waste and your time also. Candidates who want to grab this post must carry a degree of any Graduate/ Post Graduate in any field from a University or institute that is recognized by the Indian government. If you don’t have any of these qualifications then I am sorry to say that you are not eligible for this post but don’t worry there are thousands of government jobs released every year so you can try for some other post. If you are applying for the post of forex officer then you must belong to 23-32 age criteria and if you are applying for integrated treasury officer then you must be between 23-35. Less than 23 and more than 35 candidates are not allowed to apply. Candidates who will get selected for this post will get selected in Union Bank of India Specialist Officer Recruitment will receive the amount of 31750/- – 45950/- per month which is quite good. So, candidates making the place in a bank is not at all easy, if you want this much salary, start preparing from now. Candidates who are going to apply for this post have to clear the online examination. Shortlisted candidates will appear in the group discussions and then the final candidates will be called for personal interview. The online examination test will include the exam of checking your English language. The exam will be of 200 marks and duration of examination will be 120 minutes. Talking about the personal interview, it will be of 50 marks in which questions will be asked to you and based on your answers, the organization will decide whether to select you or not. Go to the careers tab and read all the details. See the left panel there will be a recruitment button, click on it. Click on the post in which you want to apply. There you will see the Union Bank of India Specialist Officer Recruitment, click on it. Fill the form and pay 600/- as the application fee if you belong to general category. If you belong to SC/ST you have to pay 100/- only. Upload your scanned photo, after uploading it you will get the user id and password. Fill the details and click on submit button.